Home snowmaking will provide many hours of winter fun. We have been making snow in our backyard for over ten seasons with no plans of stopping! Because a snow making system operates with water and air in freezing weather conditions, there are certain steps to follow that will ensure success. There is nothing worse than having a system of hoses and machines that are frozen solid when you want to make snow. Please take the time to read through this list of advice. It will save you many hours and make your snowmaking experience a happy one. This page is not intended to be a step-by-step instruction manual. The operation manual is included with the snow gun. Please read it carefully. Also, follow all operation and maintenance instructions for pressure washers and air compressors. Get organized. The best way to do this is to invest in storage bins that hold your snow making equipment. This will make it easy to organize at start-up and shutdown, and protect your equipment during the off season. Invest in a commercial grade garden hose. These hoses can be found in your local hardware store and they will be labeled as commercial or industrial. They are typically made from rubber rather than plastic. Rubber hoses remain pliable when they are cold. Plastic hoses are brittle and difficult to work with in cold temperatures. Also, when you blow-out your system with air during shut-down, the hose must withstand up to 125 psi of air pressure. Consider buying an electric heat gun, or have a hair dryer on hand. One of the most common issues is plugged nozzles with ice during start-up. Applying heat to these areas to melt the ice is the easiest way to get things going quickly. We supply a relatively short air hose (10 ft.) with the snow gun packages. This is done for two reasons: 1) operating the air compressor outside (not in a garage) will ensure that the air is as cold as possible for nucleation, and 2) the short distance will reduce the chance of water build-up and freezing in the air hose. The air compressor can be operated with a longer air hose, but you may find that it freezes up every 4 – 6 hours. A spare air hose swap every 4 – 5 hours will ensure that the air hose won’t freeze. Also, installing an air dryer on the air compressor will help significantly. Invest in an air dryer on the air compressor outlet. These can be purchased online or at some industrial retail stores. Compressing air will condense small droplets of water that are held in the outside air as humidity. These water droplets are pulled into the air hose with the fast moving air going to the nucleating nozzle. Over time, these water droplets will freeze in the air hose and eventually plug the hose, or plug the nucleating nozzle. Also, remember to change the desiccant in the air dryer regularly. Once the desiccant is saturated, it will no longer work. Snow making is only possible with the proper wet bulb temperature (see Snowmaking Science and Weather Charts). We have found that using internet based weather reporting can be locally inaccurate if the weather station is even a few miles away. The best option is to invest in a weather station at your house that provides accurate temperature and humidity. Also, you may find a weather station that is closer to your location by looking at sites such as weatherunderground.com and looking on their map to find a station that is close by. Sunshine is the primary killer of a hard earned snow pile. Before you start making snow, consider if there is a location that remains mostly in shade throughout the day. Making snow in shady areas will preserve the snow for weeks longer than in direct sunshine. Another solution is to cover snow piles with a tarp during the day to block direct sunshine. 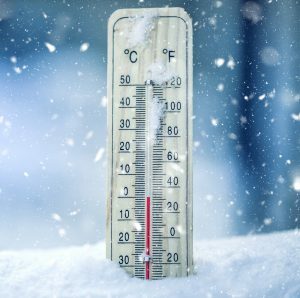 If temperatures are below -10 F (-25 C), consider waiting for warmer weather to make snow. It is possible to make snow at very cold temperatures, but we have found that the hassle becomes significant. Motor seizes and nozzle freeze-up are the primary problems. If the wind is consistently blowing harder than 15 – 20 mph, consider waiting for better conditions. Intermittent gusts are OK, but consistent wind will make it difficult to deposit snow in a usable place. Also, check the prevailing wind direction before start-up. Always face the snow gun with the wind rather than against it. The snow gun, hoses, filter, fitting, and pressure washers must all have an open pathway through the system for air and water flow. The main cause of no flow through the system is ice blockage. We recommend that you store the snow gun indoors during the snow making season (or at least 2 hours prior to start-up). This ensures that no water left in the snow gun will freeze. A successful start-up is usually dependent on a proper shut-down of the system the previous time you used it. We recommend blowing air through the system at shut-down for at least 5 minutes. This may seem like over kill, but water pockets can remain in the system even when air is blowing through the system. If you find that hoses and fitting are frozen up before you start, you may want to consider putting these items indoors a few hours before start-up to ensure that nothing is frozen. Once you decide to set-up the system, do it and get water flowing. If there is any water in the system that you bring outside from indoors, you have about 10 – 15 minutes to get it going before it is frozen and plugged. Start-up the air compressor with the air line unplugged from the snow gun. This allows the compressor to build air pressure to the system set-pressure (should be about 125 psi). Once the compressor reaches the system set pressure, the motor will automatically turn off. Hook-up the water hose connections and start the system with water flow first. Remember that water from a house water source is usually over 50⁰F in the winter. With that temperature and continuous flow to the nozzles, the system will not freeze up. Open the garden hose valve from the water source and make sure there is flow all the way to the nozzles. If the system is blocked, unfreeze the system and get it flowing before proceeding. Once water is flowing to all the snow gun nozzles, start the pressure washers one at a time. Once all the pressure washers are flowing, connect the air hose to the snow gun. Air will flow automatically, and the air compressor motor will turn-on to provide more air. Starting the air line first can cause ice plugging in the nucleation nozzle. Remember that rapidly dropping air pressure will cause the temperature to drop (see Snowmaking Science). The air temperature at the nucleation nozzle will be below freezing, so if it is running with no water flow, it will freeze the entire nucleation nozzle and block the water outlets. The most common problem in snow making is failure to nucleate (see Snowmaking Science). This is caused by the nucleation nozzle plugging which is nearly always caused by freezing. Check the nucleation nozzle every 2 – 4 hours to ensure it is working properly. If you operate at night, consider setting up a light source near the nucleation nozzle so you can see it from indoors. Experiment with the tilt angle of the snow gun. In colder conditions, the flow stream requires less hang time to make good snow and the tilt angle can be lower. A lower tilt angle usually concentrates snow fall to a more contained area. A higher tilt angle will generally spread snow fall over a greater area with less depth. Follow the shutdown instructions! Blow out the system with air for 5 minutes after air starts breaking through at the nozzles. Trying to start-up a frozen system that was improperly shut down is not fun!. Keep things organized for the next start-up. CLEAN FILTERS– All BYSS products include two filters; a high pressurefilter located above the water connection on the snow gun, and a low pressure garden hose filter that is fastened to a garden hose before water enters the pressure washer(s) or connection manifold. Clean both of these filters regularly to ensure high performance and protect your snow gun. NEVER RUN YOUR SYSTEM WITHOUT THESE FILTERS. Store the snow gun, hoses, pressure washers, etc. indoors in a dry location. Sunshine (UV) can damage rubber and plastic parts over time. Moisture can cause corrosion. Air Compressor won’t start-up, or struggles to start. The compressor motor may be too cold to get the motor turning. Holding a heat gun or hair dryer on the motor for several minutes may help to get it going. We recommend starting up the compressor in a garage or other warmer place and letting it run for a few minutes before taking it out to the operating location. Air line is plugged. This is usually caused by water droplets being dragged from the compressor tank into the air line. A properly maintained air dryer on the outlet of the compressor will solve this problem. Once the line is plugged, the only way to get it unplugged is to take it inside. Trying to thaw a plugged hose with a hair dryer won’t work. Nucleation Nozzle is plugged. This is usually caused by improper start-up, or a plugged air line. Try holding a heat gun or air dryer to the nucleation nozzle (don’t get them wet). If that doesn’t work, unplug the air line. Misting water nozzles are plugged. This is usually caused by frozen water somewhere in the snow gun. Hold a heat gun or hair dryer on the water pipes and nozzles of the snow gun. If that doesn’t work, take the snow gun in doors for 10 – 20 minutes and try again. The nozzle openings are protected from plugging by solids by two filters (one at the hose connection, and another at the snow gun water connection). Under very rare circumstances, these nozzles may plug with solids (a small rock or combination of rocks). You can attempt to unplug the nozzle while it is running by using a safety pin or other similar sharp object. Use caution!! You can also remove the nozzle from the head when the water is shut off and try to clean the nozzle from the back. Make sure to apply teflon tape and ensure that the o-ring is in place on the nozzle before reinstalling the nozzle. 5. House electrical breakers trip. Each motor in the system must be run from a different electrical breaker. If you are running a two train system, then the air compressor must be plugged into an outlet with no other electrical loads running from that breaker. Each of the two pressure washers must also be connected to separate outlets and separate breakers. Remember that several outlets can be run to a single breaker, so you have to find outlets that are on separate breakers. Also, the pressure washers have a reset button at the plug that must be reset before operating.